Besides nurturing Aboriginal talent, Aarli also uses only indigenous models in its campaigns. By doing this, Cowlishaw says she hopes to not only preserve and promote the Aboriginal cultural identity, but also challenge the unfortunate stereotypes that still plague Australia’s first inhabitants. “As an urban and educated Aboriginal woman, I believe it’s my duty as a next generation leader to create influence on ‘stereotype’ and social perception of Aboriginal people,” Cowlishaw told us. Beyond that, Cowlishaw said she’d like to help consumers eschew “fast fashion” and choose quality over quantity. Aarli is built on five core principles, Cowlishaw said: ethical and sustainable processes, community inclusion, self-determination, and diversity/empowerment. While she admits that the road to creating Aarli hasn’t been an easy one, it never occurred to her to stray from her principles. Despite her ambitions, Cowlishaw is adamant about maintaining her integrity in an industry dominated by disposable clothing. As small as Aarli may be, Cowlishaw plans to make an impact that’s felt around the world. Currently in the works? A “zero waste” capsule line produced entirely from upcycled car-upholstery remnants, a collaboration with Target Australia, and Aarli’s first international exhibition showcase. Also on its way: a range of bags and hats made from denim offcuts and recycled plastic bottles. Besides nurturing Aboriginal talent, Aarli also uses only indigenous models in its campaigns. By doing this, Cowlishaw says she hopes to not only preserve and promote the Aboriginal cultural identity, but also challenge the unfortunate stereotypes that still plague Australia's first inhabitants. "As an urban and educated Aboriginal woman, I believe it’s my duty as a next generation leader to create influence on 'stereotype' and social perception of Aboriginal people," Cowlishaw told us. Beyond that, Cowlishaw said she'd like to help consumers eschew "fast fashion" and choose quality over quantity. While she admits that the road to creating Aarli hasn't been an easy one, it never occurred to her to stray from her principles. Despite her ambitions, Cowlishaw is adamant about maintaining her integrity in an industry dominated by disposable clothing. "Aarli is a 'slow fashion' brand," she said. "We produce only one collection per year." Each collection is determined by whatever resources and fabrics are available at the time. Aarli obtains many of its end-of-roll fabrics and offcuts through partnerships with fellow Australian companies such as Nobody Denim and OCC Apparel . As small as Aarli may be, Cowlishaw plans to make an impact that's felt around the world. Currently in the works? 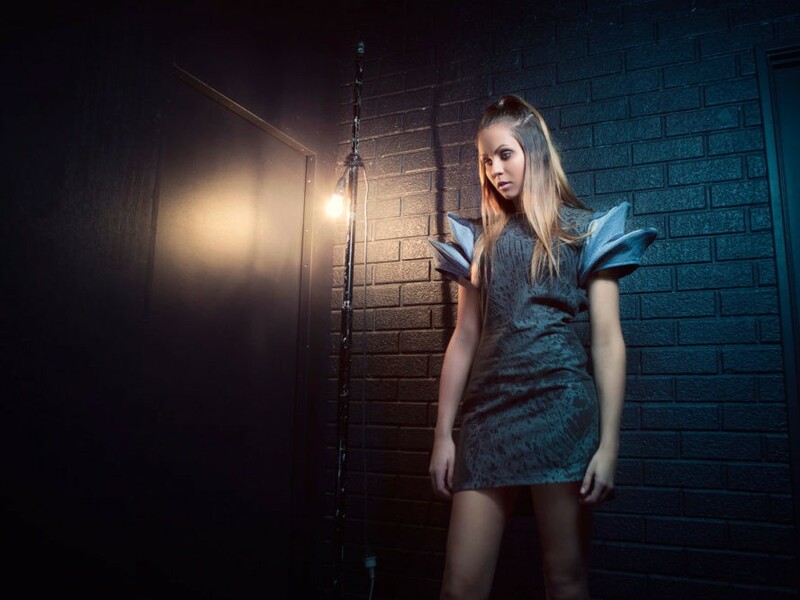 A "zero waste" capsule line produced entirely from upcycled car-upholstery remnants, a collaboration with Target Australia, and Aarli's first international exhibition showcase.